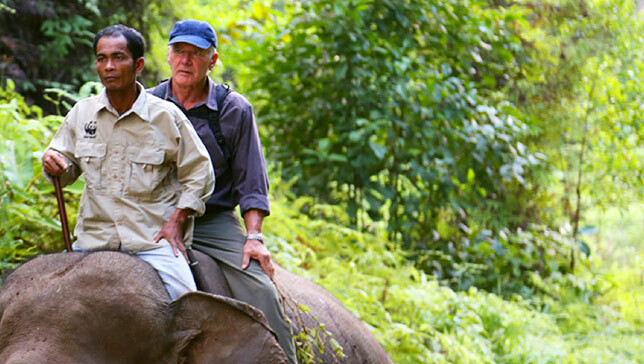 In the first episode of the Showtime global warming series “Years of Living Dangerously,” Harrison Ford investigates the widespread deforestation of peat swamp forests in Borneo, the worldwide implications of this loss, and the inability of the Indonesian government to do much to stop it. But the situation is not entirely bleak, thanks in part to the efforts of the Katingan Project. Peat swamp forests store huge amounts of carbon, so when these lands are cleared and burned, the carbon is released into the atmosphere. At its core, the project is financed by what it achieves in terms of sequestering and avoiding the emissions of carbon dioxide, according the website. Although it began in 2008, The Katingan Project got its ecosystem restoration license from the Ministry of Forestry in late 2013 via a partnership with the Indonesian company PT Rimba Makmur Utama or PT RMU, which grants the tenure rights to protect and restore 108,00 hectares of peat swamp for 60 years. “PT RMU has been working with partners to develop community livelihood programs, restore the ecological integrity of the forests through planting of native tree species, prevent forest fires, etc.,” says Kusumaatmadja. A smaller but equally important part of the Katingan Project is providing livelihood alternatives for the local villagers to replace illegal logging, and that’s where Emily Readett-Bayley comes in. Her 15 years of work with a Balinese rice farming cooperative and background in designing and marketing ethically sourced handicrafts and furniture fit right in with the project’s mission.